It can be a challenge to stay in shape when you can’t even afford to go to the gym. Your options are limited to doing work outs at home or going for a jog in the park, and that’s a shame because there are few better ways to keep motivated than to join a class of like-minded people. Well, today we’ve got a great tip for you. If you’re really determined to lead a more active lifestyle, you may be interested to check out some of the discounts Groupon is offering on various fitness courses. 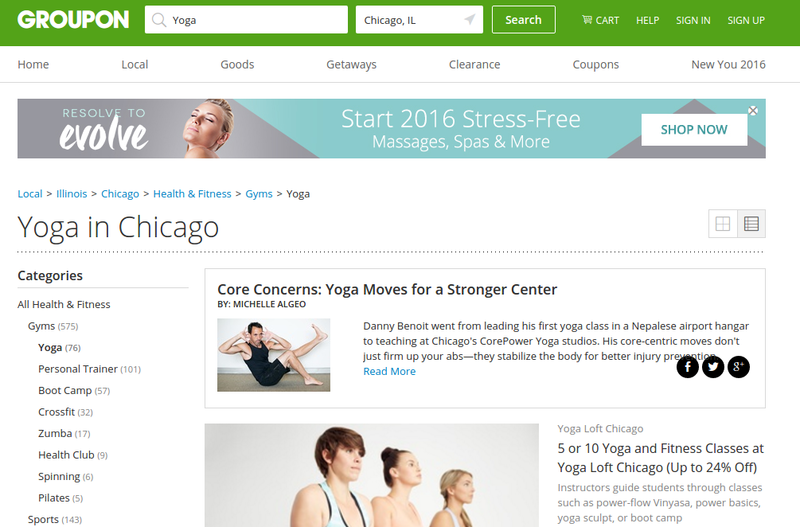 For example, there are many Yoga in Chicago classes offering promotions right now. Check it out!